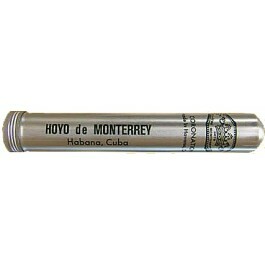 The Hoyo de Monterrey Coronations Tubos is a cheap mild to medium corona, with 42 ring gauge, 5.1” (129mm) long and comes in a box of 15 cigars. This short smoke packs the typical Cuban flavors that can be smoked on-the-go as it comes in an elegant and convenient aluminum tube. The flavors offered by this Habanos are of wood, earth, leather, coffee, nuts, fruits and floral characteristics.